1st. Infantry Division, Subd. Twill Subdued Twill Insignia is precision sewn and have a non-merrowed "cut" edge. On Twill patches only the black portions are embroidered on green fabric. 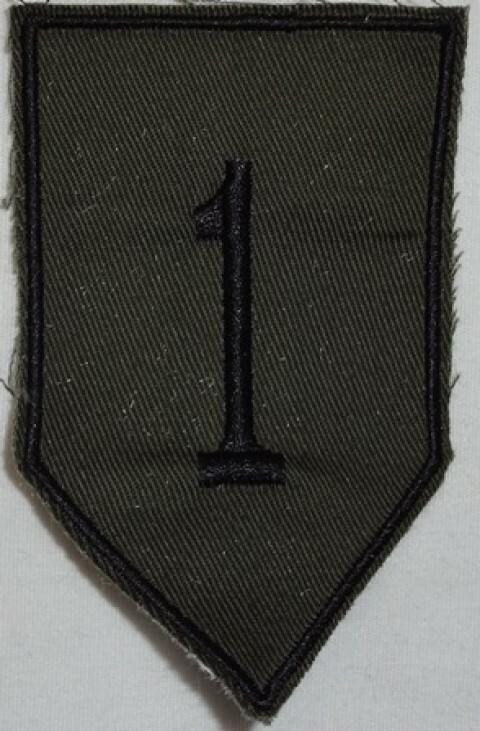 These are replicas of the first issue subdued twill patches introduced by the US Army in 1967 and seen through the end of the war.